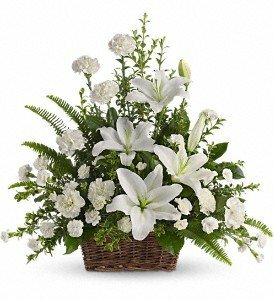 My dear friend TT (Terry) and family, My deepest and heartfelt sympathy on the loss of your mom. Though she may not have been ready, God decided otherwise, and she is now at peace and no longer suffering. That's the blessing. The memories you had with her will live forever in your hearts. Those memories will eventually make you smile, and will put some of those tears aside. That's what your mom would want and she will always be watching over you. My thoughts & prayers are with all my cousins. Your Mom was a strong woman. I’m sure she is proud of all of you. Cherish your memories & pictures. It keeps her closer in your heart. Love you all. We’re so sorry for your loss. I have many memories of visiting and Aunt Marion spoiling us. My thoughts and prayers are with the entire Thompson family. My deepest sympathy to you and your family Jim.